MATE is under active development to add support for new technologies while preserving a traditional desktop experience. See the Roadmap. The MATE Manifesto outlines some of the principles that guide the project. You can find more screenshots of MATE. Blog posts are also indexed by tag and archived by date. You might also want to take a look at Planet MATE to see what the wider MATE community are blogging about. You can also query DistroWatch.com for all the distributions that support MATE. The MATE community has documented how to install MATE on many distributions in the install guidelines. MATE is composed of a number of applications. The renaming is necessary to avoid conflicts with GNOME components. Caja is the official file manager for the MATE desktop. It allows for browsing directories, as well as previewing files and launching applications associated with them. It is also responsible for handling the icons on the MATE desktop. It works on local and remote filesystems. Caja is a fork of Nautilus. Pluma is a text editor which supports most standard editor features. It also extends this basic functionality with other features not usually found in simple text editors. Pluma is a graphical application which supports editing multiple text files in one window (known sometimes as tabs or MDI). Pluma fully supports international text through its use of the Unicode UTF-8 encoding in edited files. Its core feature set includes syntax highlighting of source code, auto indentation, and printing support (with print preview). Pluma is a fork of Gedit. eom or the Eye of MATE is a simple graphics viewer for the MATE desktop which uses the gdk-pixbuf library. It can deal with large images, and can zoom and scroll with constant memory usage. Its goals are simplicity and standards compliance. Eye of MATE is a fork of Eye of GNOME. Atril is a simple multi-page document viewer. It can display and print PostScript (PS), Encapsulated PostScript (EPS), DJVU, DVI, XPS and Portable Document Format (PDF) files. When supported by the document, it also allows searching for text, copying text to the clipboard, hypertext navigation, and table-of-contents bookmarks. Atril is a fork of Evince. Engrampa is an archive manager for the MATE environment. It allows you to create and modify archives, view the contents of an archive, view a file contained in an archive, and extract files from archive. Engrampa is a fork of File Roller. MATE Terminal is a terminal emulation application that you can use to access a UNIX shell in the MATE environment. With it, you can run any application that is designed to run on VT102, VT220, and xterm terminals. MATE Terminal also has the ability to use multiple terminals in a single window (tabs) and supports management of different configurations (profiles). MATE Terminal is a fork of GNOME Terminal. The name “MATE”, pronounced Ma-Tay, comes from yerba maté, a species of holly native to subtropical South America. 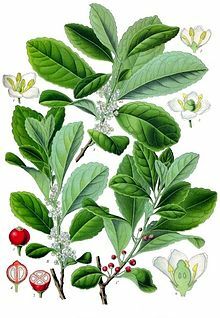 Its leaves contain caffeine and are used to make infusions and a beverage called mate.